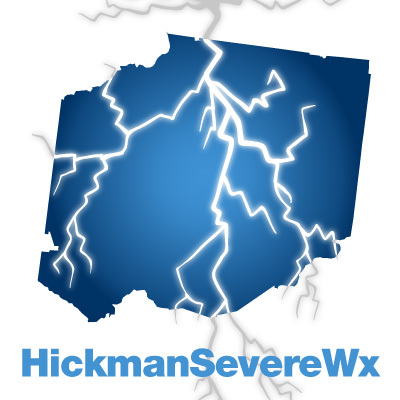 We are advanced trained storm spotters living in Hickman County, TN. We are NOT METEOROLOGISTS, nor do we play ones on the Web. You can read more about us on our about page above. Summary: Nice and dry today but cooler and a pleasant weekend ahead. Storm chances come back Sunday afternoon. Our hearts and prayers are with those impacted by the tornados from yesterday’s storms. Today we are looking forward to clearing skies and our high temps around 66 degrees. Our dew points have dropped to the low 40s. This means things won’t be so muggy today as they have been. Winds will be coming out of the NNE today at about 5-10 mph. Our overnight low will be about 45 degrees, so no real chance of frost this time. The weekend is looking pretty amazing with Saturday’s high temp expected to be 71 degrees under sunny skies. Winds calm back down to about 5 mph out of the NNE. Saturday’s overnight low will be around 47 degrees while the winds calm down. Sunday you can expect much of the same with temperatures reaching 76 degrees. Winds come out of the east today at 5 to 15 mph, but then come out of the south during the day. Sunday night there is a slight 30% chance of showers and thunderstorms as the temp falls to about 58 degrees. Monday looks to be wet…. again. Unfortunately rain and storms return on Monday, with a current 70% chance. That deserves this gif again.